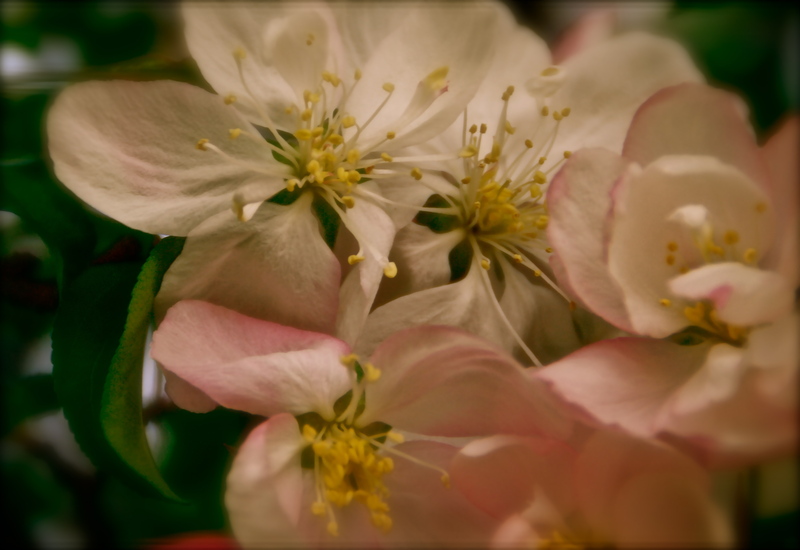 Blossoms clustered together . . . lovely! That is beautiful … heavenly! Thanks Theresa. That is my favorite subject, too. Glad this photo brightened your rainy-gloomy-Kansas City-day. The studies are going. Not my favorite classes but I am learning a lot, so no complaints. Gorgeous, my friend. Hope you are having a lovely Sunday. Thanks Kathy. It was a lovely Sunday here but I was in all day with my head buried in the books. Looking forward to the end of the quarter already (not until mid-June.) Thanks for stopping by.